Last year, the news was flooded with information concerning termite swarms on the Gulf Coast. Swarms were attributed to rain and muggy weather. News started in early May and kept pace through June. New Orleans, Bay St. Louis and Slidell were among the hardest swarmed areas for these termite swarms. But more inland areas are not immune as a single swarm of termites can have millions of community members. Since the season doesn’t end until mid summer, it’s important to know how to protect your home and property from possible termite swarms. Of course, you have your annual inspection, right. Right? Don’t forget that insurance companies often dictate the need for these annual inspections, but it also is important that you are doing other things to protect your home. The annual inspection doesn’t necessarily come with a treatment plan. Make sure the wood in your home isn’t in contact with the ground. Let’s not feed the termites. Fill cracks and access points. Clear debris from around the home. Eliminate the colony (if applicable). 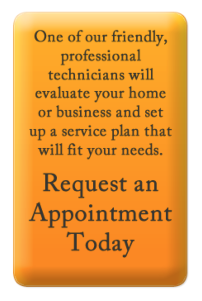 It’s important that you get a professional that understands proper termite treatment options. Bug Pro offers free termite inspections and identifies areas that are inviting to these destructive pets. We encourage you to do the simple math. Termite prevention versus termite removal. Well, the removal part may not be the expense exactly, but what you’ll have to do to your home after the termites are removed may be your financial undoing. Termites are not friendly. They are not welcome. But you can welcome Bug Pro into your home to make sure you don’t have millions of uninvited guests. Call us today at one of three locations. This entry was posted in Bug Blog, Bugs, Termites. Bookmark the permalink.